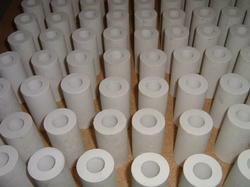 We are engaged in providing the best quality range of Alumina Ceramic Filters . Korb provides a wide range of filters for inkjet printing application in the manufacturing of Ceramic tiles. Filtration plays a critical role in the manufacturing process for ceramic tiles, as defects in the layers of the filter can detrimentally impact the quality of tiles. Due to the rigid material of construction, CeraQ ceramic ultrafiltration membranes offer high quality filtration in virtually any environment. The ceramic membrane has various applications, mostly in treating very difficult to treat water and wastewater, or where high temperature operation is involved. 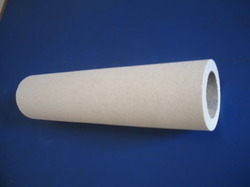 The ceramic membrane is a very viable technology for produced water treatment.